Oh, summer...I love growing things in my garden. 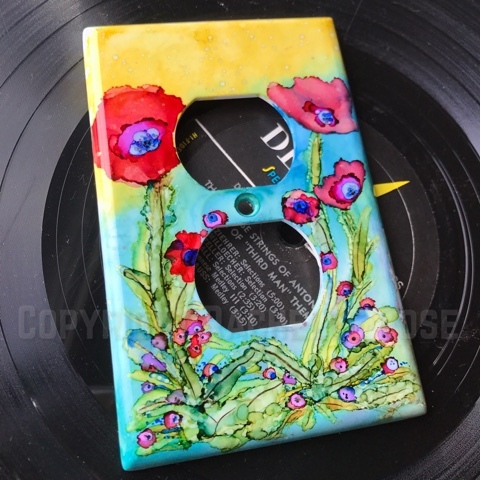 I painted this electrical outlet cover with some bright and colorful red and pink classic poppies. The baby poppie details in this piece are so tiny---some as small as the point of a pin. I really enjoyed creating the small details. My outlet covers, Rachro domino flowscapes, and painted records are available to view and purchase on my Facebook page, Records by Rachro. You are invited to share the info and comment or ask questions there.